The 10th Hussars embarked on board the troopship Jumna on the 10th of january 1873. They went through the Suez Canal (that had been opened a mere 4 years before) to disembark in Bombay. They then reached Muttra where the regiment stayed until 1878. The 10th Hussars was then despatched to Afghanistan to serve in the Second Afghan War. 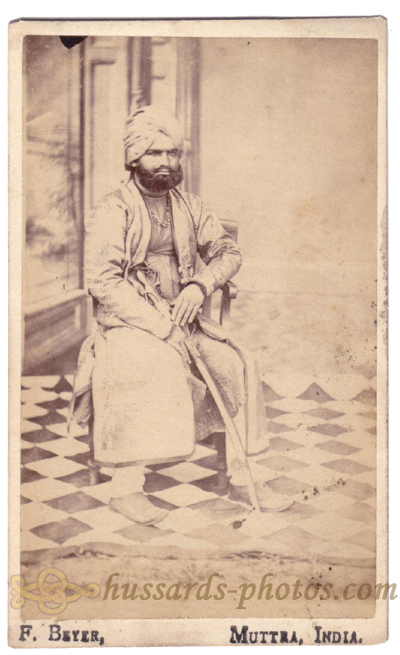 In 1879 they came back to India - and shifted to Lucknow in Bengal in 1881. In 6th of February 1884 they boarded again the Jumna in Bombay - and are said to have expressed considerable enthusiasm at boarding the very same ship. Their ship was diverted following the events in Egypt and the 10th disembarked at Suakim. 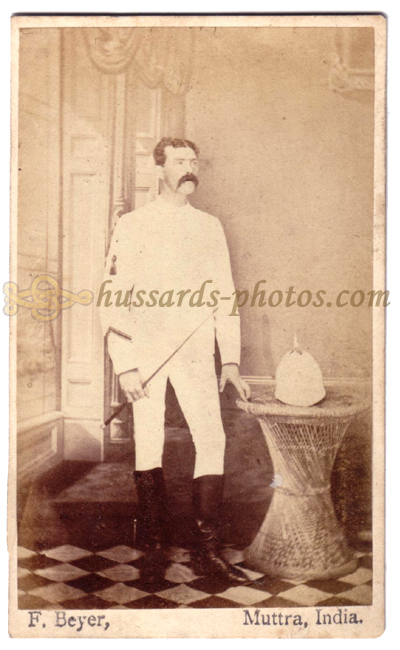 Top left photos show a Hussar in the Indian service white dress. He has the typical spiked pith helmet. You can see on his right sleeve a Long Service and Good Conduct chevron (indicating at least four years of service ; these will be shifted to the left sleeve about 1880). He's also wearing the spur-shaped arm badge indicating his skill as a "rough rider" - meaning he's a riding instructor. The top right photo was taken in the same studio - obviously a gentleman somehow related to our Hussars. 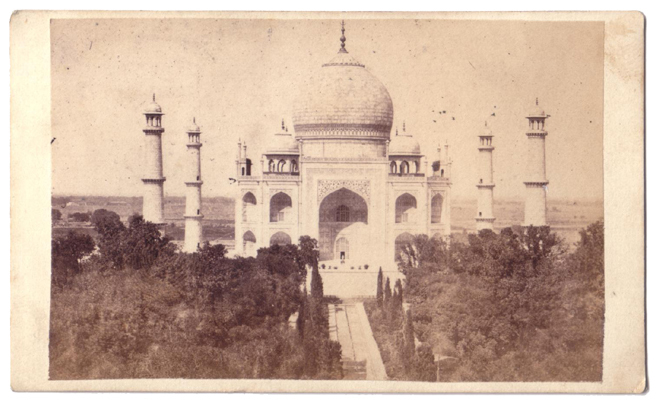 Down below is a view of Taj Mahal in Agra (a Ganaishee Lall Carte de Visite) - ever a place of high touristic interest ! Muttra is just located some 50km North West of Agra.